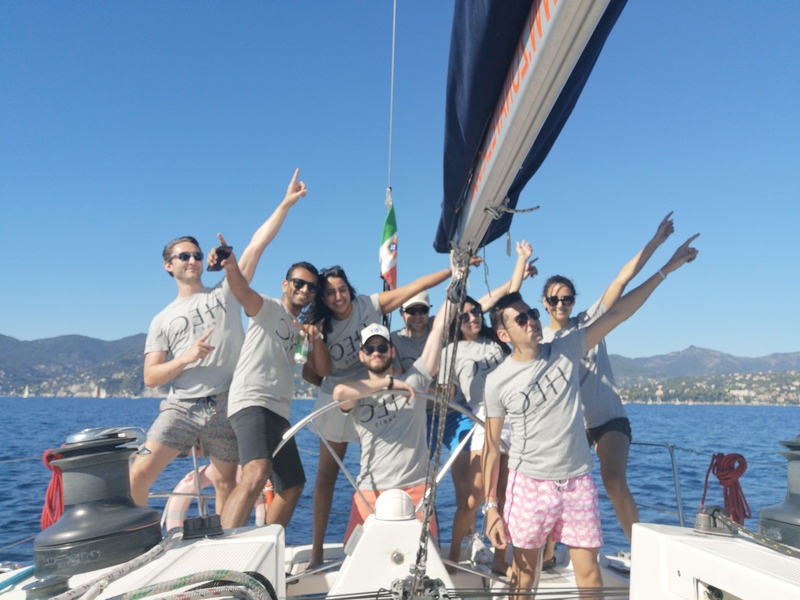 Staged annually at Santa Margherita Ligure, the SDA Bocconi Conference & Regatta is the sailing event of the year for MBAs. For the 2018 edition, the Italian school hosted 25 of the most prestigious institutions from North America, Europe and Asia. The event was my third time sailing, but the first time I’ve participated in such a prestigious and fun competition. The too-short weekend included sailing in the morning, afternoons spent swimming in the warm Italian waters, and nights full of well-thought-out dinners and parties. What amazes me the most is that the regatta is for both current MBAs and alumni. It’s a relief to know I will be able to sail once a year with my HEC friends even after we have graduated. Furthermore, I now understand how an event can bring the MBA world together: NYU, LBS, IMD – you name it, they all attend. And representing the HEC Paris MBA, three boats competing in two different categories. We were a mix of alumni, S17s, J18s, and S18s like me. My boat’s skipper was Yaroslav Karulin, class of 2013. Check-in took place on Thursday morning, and we immediately started practicing for Friday’s competition. After several hours, we set anchor in front of Baia di Paraggi, our after-race meeting point for the next two days. It is the perfect venue to start meeting the other teams. Later, when the sun set, we dressed for the first party: an Aperol Spritz-sponsored dinner at one of Santa Margherita’s main attractions: Villa Durazzo, surrounded by its 19th-century romantic-style gardens. The first race took place early Friday morning. All the boats competed even if the wind was not ideal. We didn’t perform as well as we wanted the first time and, to be honest, not the second either, but we still had Saturday morning to try for victory. 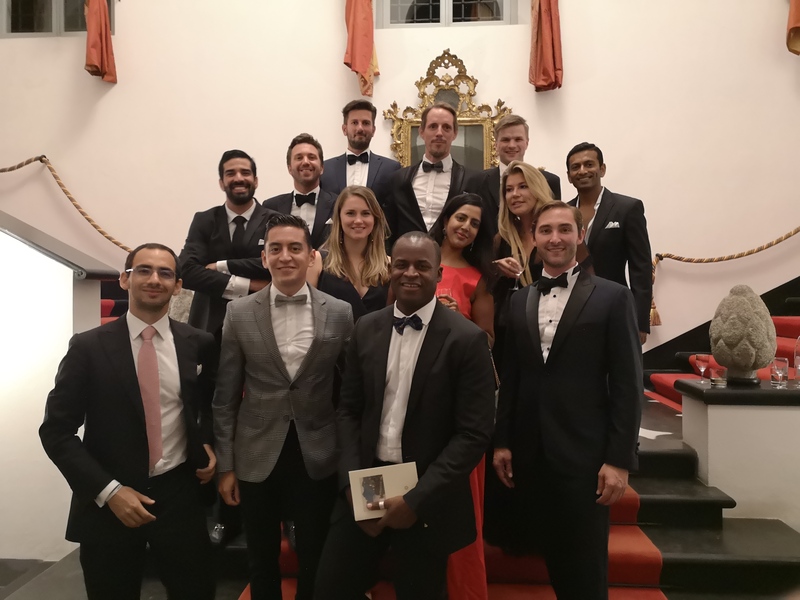 Even after realizing all the tucking didn’t pay off, we were still looking forward to that evening’s activities, which consisted of a visit to beautiful Portofino and an afterparty at the MBA Village. Saturday the boats from the offshore and cruise categories sailed for the last time. ESADE and Bocconi won the regatta, which gives me even more reasons to return next year and put HEC Paris on top of the list. Later, around 4 p.m., we set anchor next to all the other boats. If you go swimming next to everyone else, you lose track of time getting invited to other ships for a chat and a drink. However, that day we needed extra time to get ready for the black-tie gala at La Cervara. For me this was the best night. Everything was perfect: the food, the wine, the venue and, of course, the looks. Luis Raúl Martínez, MBA ’20, majored in Economics at Universidad Iberoamericana in Mexico City. He started working in Danone in 2012 as a Trainee for Ingredients Sourcing. Afterward, he became a Buyer for Packaging and was promoted to Junior Manager for Logistics Sourcing. In 2015 Luis joined Syngenta as Direct Procurement Leader for LatAm North. This year, inspired by Danone’s CEO Emmanuel Faber, he started an MBA at HEC Paris. His passions include commercial aviation, connecting with people and organizing events, which led him to join the MBAT core team as VP Activities. He believes HEC Paris to be the ideal place to improve his leadership skills, which in turn will enable him to add the utmost value when going back into business.